This sounds delightful. 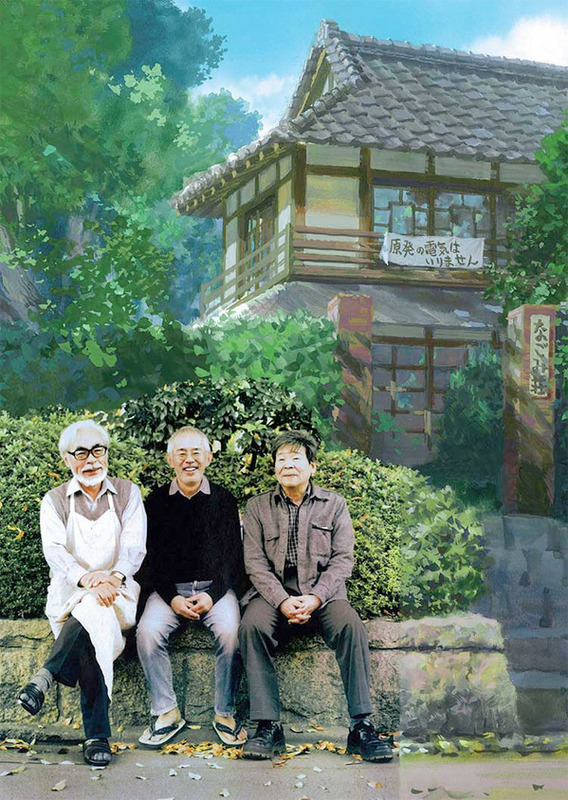 GKIDS, a US distributor of animation from all over the world, has acquired rights to release the documentary The Kingdom of Dreams and Madness in North America. 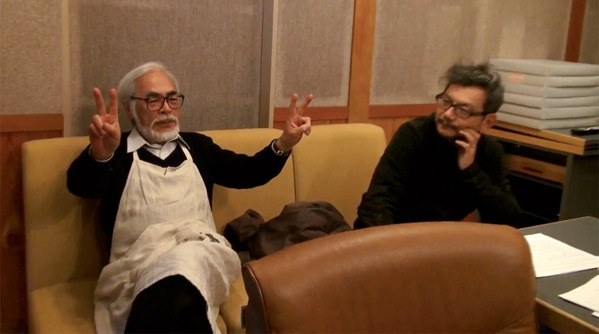 The doc is actually an inside look at Studio Ghibli, and the three men who are the "lifeblood of Ghibli": director Hayao Miyazaki, producer Toshio Suzuki, and the elusive Isao Takahata (all three seen above). GKIDS picked up the film prior to its appearance at Annecy International Animation Film Festival, but will likely release it in theaters later this year along with Ghibli's next US release, The Tale of The Princess Kaguya. More below. Synopsis: Granted near-unfettered access to the notoriously insular Studio Ghibli, director Mami Sunada follows the three men who are the lifeblood of Ghibli – the eminent director Hayao Miyazaki, the producer Toshio Suzuki, and the elusive and influential "other director" Isao Takahata – over the course of a year as the studio rushes to complete two films, Miyazaki's The Wind Rises and Takahata's Princess Kaguya. The result is a rare "fly on the wall" look at the inner workings of one of the world’s most celebrated animation studios, and an insight into the dreams, passion and singular dedication of these remarkable creators. Below we've included a handful of the first look photos from the doc, which is already being promoted on GKIDS. 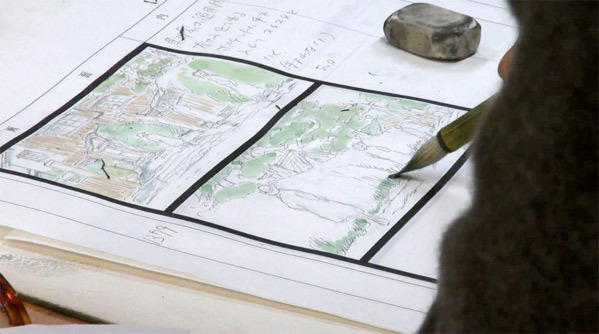 As a die-hard Studio Ghibli fan (who luckily got to visit the Ghibli Museum earlier this year) this documentary sounds amazing, and I cannot wait to see what they present, since Ghibli is a notoriously very private place. Aside from the premiere at Annecy, we'll certainly be keeping an eye on their release plans. In addition to The Kingdom of Dreams and Madness, GKIDS (who we don't regularly talk about) distributes Studio Ghibli's From Up on Poppy Hill, as well Isao Takahata’s upcoming The Tale of The Princess Kaguya, which will release theatrically and be submitted for awards consideration in fall, 2014. GKIDS also handles North American theatrical distribution for the Studio Ghibli library. Stay tuned for more updates from here. Miyazaki has hit that look where he could be 60 or 100. // I will see this documentary. Miyazaki = the man. Will love to watch this.